Anthony Tabor drove a truck for 26 years. It was something he did as natural as brushing his teeth. On September 10, 2012 he drove his truck as usual and delivered a load of diesel to a customer. He climbed a 15 foot tank to check the fuel level and on his way down, he fell 13 feet. With such a severe fall Anthony sustained damage to his spinal cord including his neck and back. 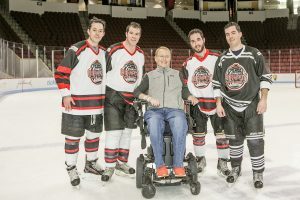 Not only is Anthony grateful for his wife he is also thankful for the Travis Roy Foundation. After his accident he could not sleep in his bed due to being on his back, which caused him to choke. Fortunately, Markeeta found the TRF on the internet and applied for a grant to obtain an adjustable bed. Anthony happily remarked about his new bed, “It has been a blessing, a Godsend.Now, I can sleep for the most part, and not worry too much about bed sores. 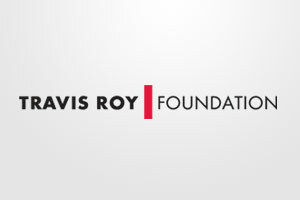 Thank you Travis Roy Foundation!” Once again, the TRF has made its mark on another person in need, and that’s what it’s all about.